During this time of year the pastel-y Easter ones would come out and I would just go over to the troll wall at the store and gaze at them. They were so beautiful (for trolls) and coincided with cherry blossom (and artichoke…) season and flower smells in the air, which was such a nice respite from the winter grays. 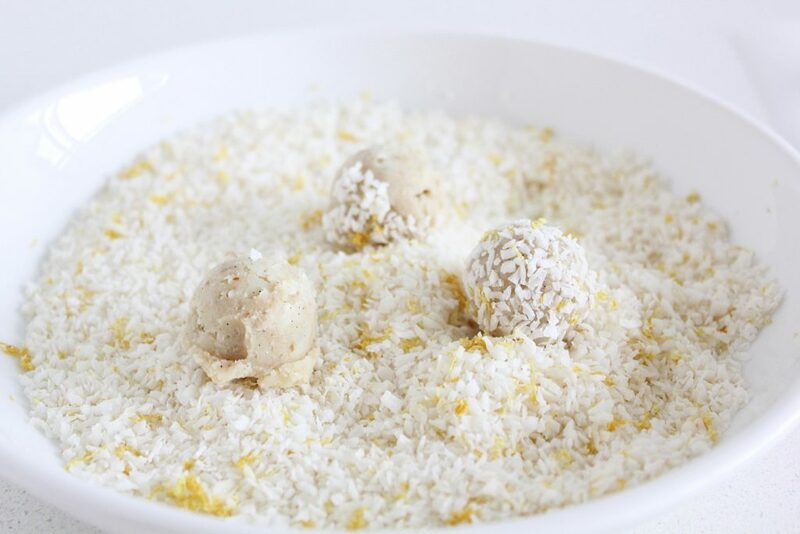 That was my roundabout way of explaining how I landed on lemon truffles. I pictured in my mind, pale yellow, like the colour of a chick, or the yellow Mini Egg, but of course, unless we asked turmeric for help (I tried it, it sort of ruined things), natural lemon yellow is more or less invisible to the eye. 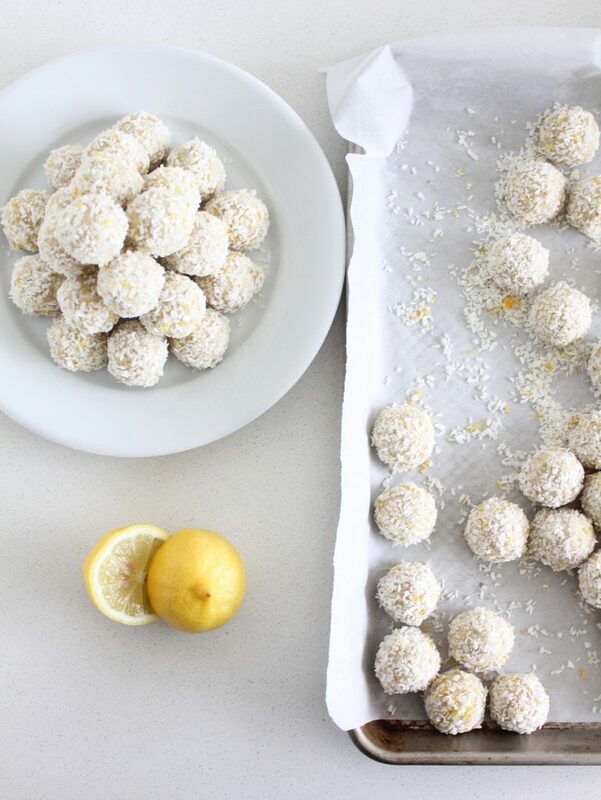 We added some zest to the coconut on the outside to hit the lemon flavour home, and it is vibrantly yellow, but for the most part, these Lemon Truffles are all about the colour yellow for blind people (or for those who practice eating dessert with their eyes closed). Even if your eyes don’t, your mouth will know that they are as yellow as the Easter Troll’s hair. And, of course, they’re healthy enough to eat for breakfast but tasty enough to curb that sweet craving. The cashews are raw and soaked making them easier to digest, the coconut is unsweetened and we actually make it into coconut butter at the start of the recipe (much like we do for this chocolate-y recipe). 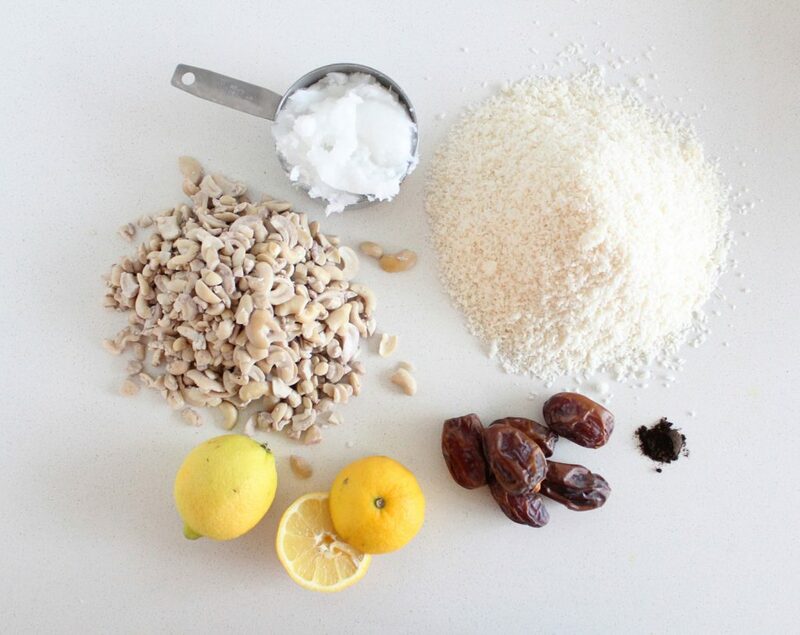 The dates are the only sweetener -a mineral-rich, whole food approach to sweetening. There are only 6 in the entire recipe, which most of us could easily consume in a couple of days, but it will take you far longer to plow through these truffles. There is an entire cup of extra virgin coconut oil in there too. It helps the truffle mixture to set and gives them a buttery texture. 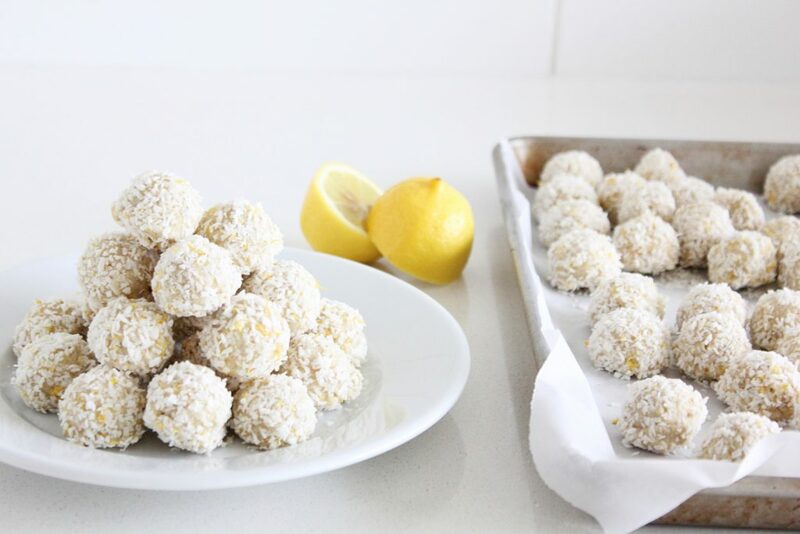 It also slides these lemony Easter treats into the ‘fat bomb’ category. This means that including the nuts and coconut, they are full of healthy, digestible fats and relatively low in carbs. Those who follow a strictly high fat or ‘ketogenic’ style of eating to fight certain cancers (or because it’s a style that their body responds well to) would likely replace the dates with stevia. You’re welcome to do this (the recipe would still work), but I prefer the taste and whole food approach of the dates. Either way, the fats are all good sources that will fuel your body, slow down the absorption of sugar into your bloodstream (sad for the cancer, happy for us) and keep you feeling full and satisfied longer. I can’t wait for my little one to be old enough for an egg hunt but I’m nervous about how I’m going to explain to her why the Easter Bunny brings all of the other kids chocolate from the store and she gets carrots (just like the Easter Bunny!…look, you missed one behind the cushion…) I’m not sure I can be that lame, at least I still have 1-2 years to think about it. I hope everyone has a happy Easter/Passover week! Please share with us in the comments below if you have any healthy food traditions, we would love to hear them! 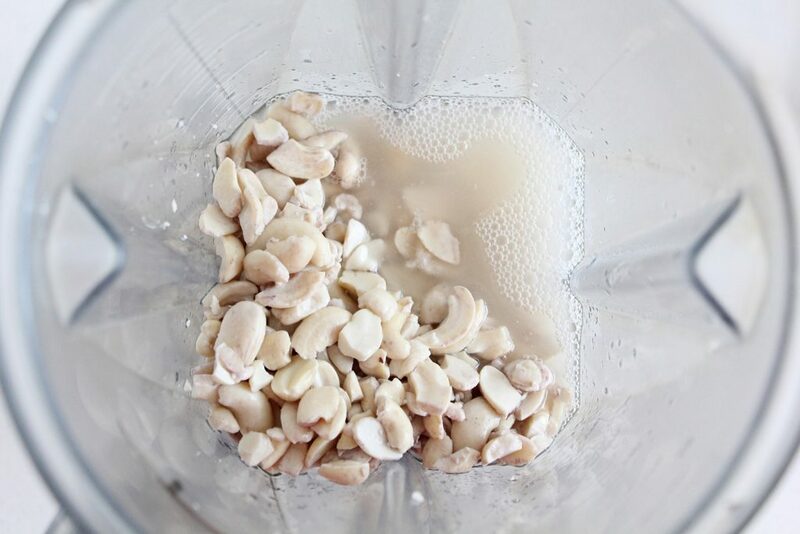 After rinsing your soaked cashews, let them drain well and then lie them out on a clean tea towel to dry them off as best you can (they'll still be soggy). 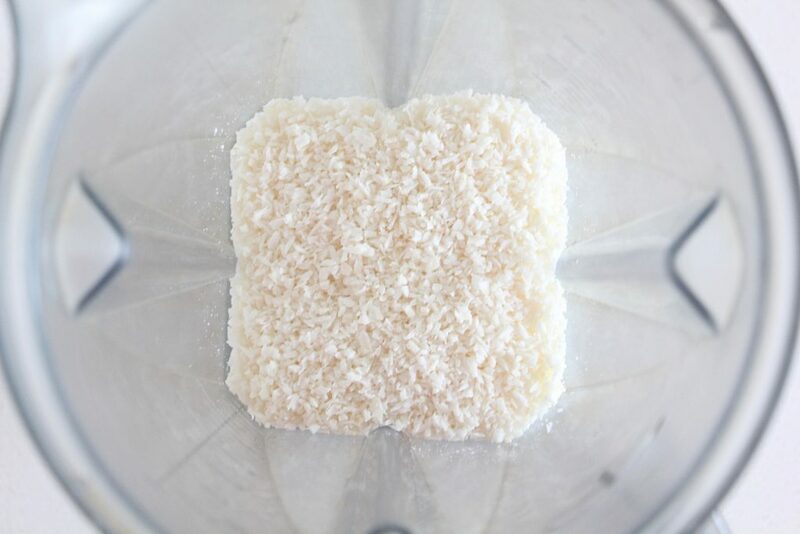 Meanwhile put the 3 c of coconut (reserving the last cup and a quarter for coating at the end) in your blender and blend (tamp/blend/tamp) until it becomes smooth and buttery (turns into coconut butter) This will be easier with a high powered blender, it will just take a little longer in a regular one. 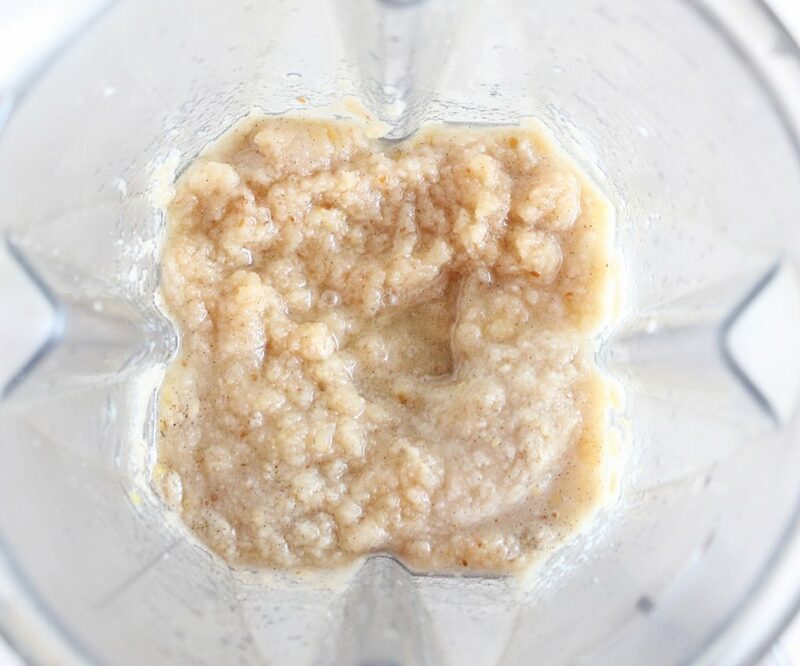 Add the melted coconut oil and cashews, blend until as smooth as possible. 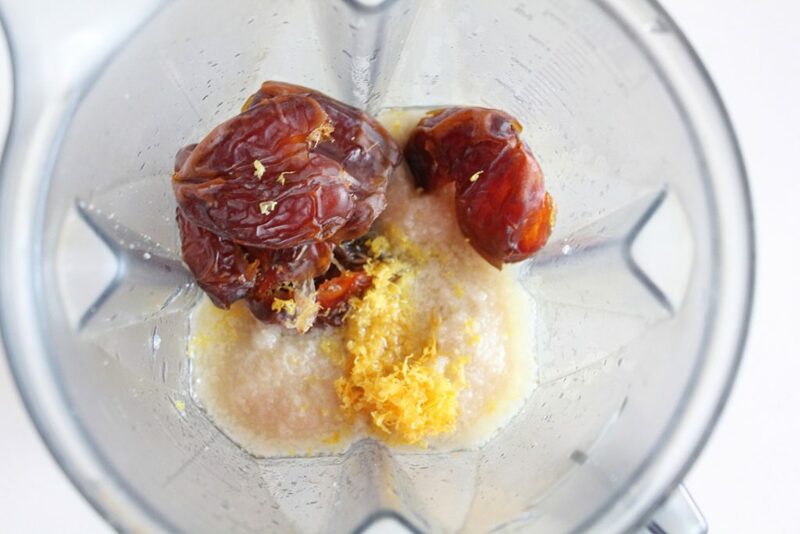 Add dates, vanilla, lemon juice, lemon zest (reserving ⅓ of it for coating) and salt, blend until smooth. Taste it to see if you'd like it sweeter (add another date) or sour-er (add more lemon juice). Pour contents into a bowl and refrigerate for several hours (or freezer if you're impatient) until firm enough to shape. The coconut oil 'splits' out of the mixture, which means there will be oily patches that will chill into hardened patches. I don't mind these, they're sort of reminiscent of chocolate chips when you bite into them. 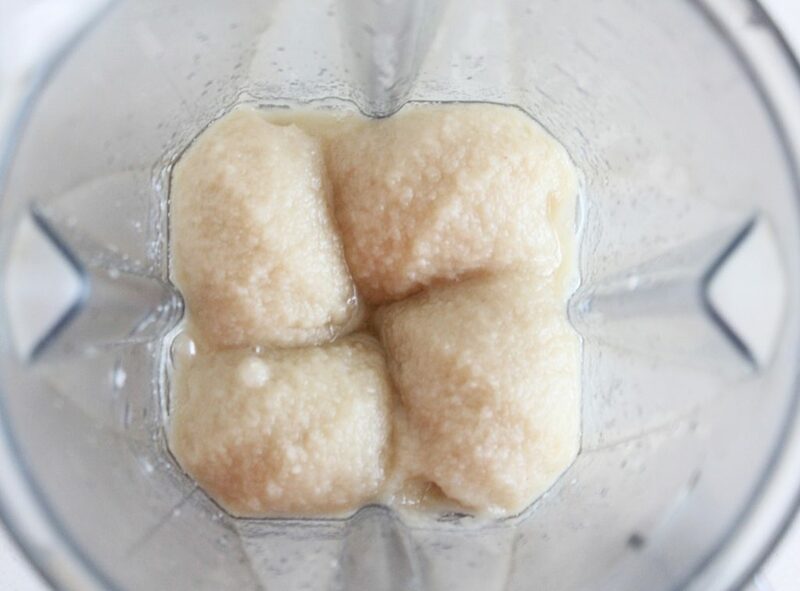 If you would prefer not to have them, once the mixture is semi-chilled (the coconut oil is just starting to harden around the edges) stir it up again well with a spatula and put it back in the fridge. If there is still liquid oil visible, repeat in half an hour and again if necessary until no liquid oil is visible. 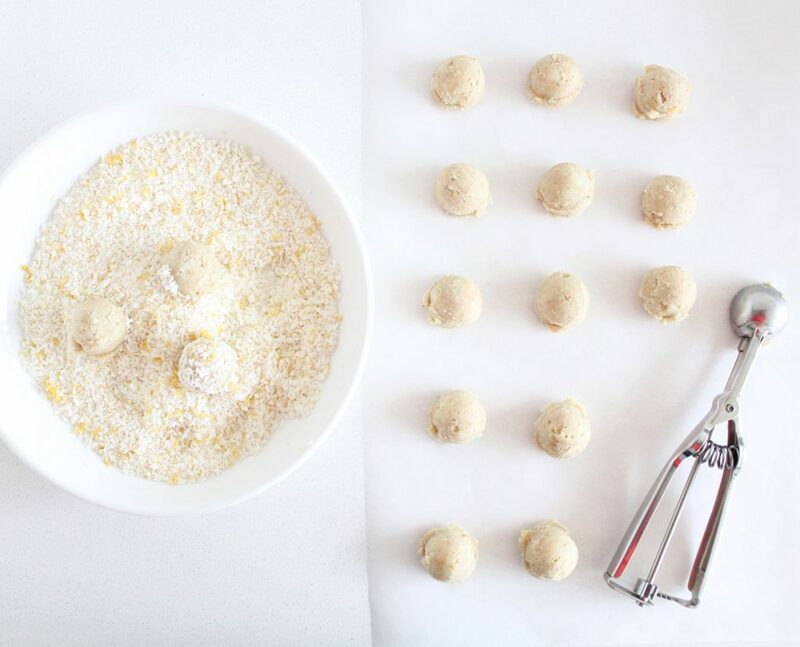 Using a spoon, a teaspoon, a melon baller, your hands or a scoop (I used a '00' scoop -about ¾ tsp-sized) to shape the mixture into balls. 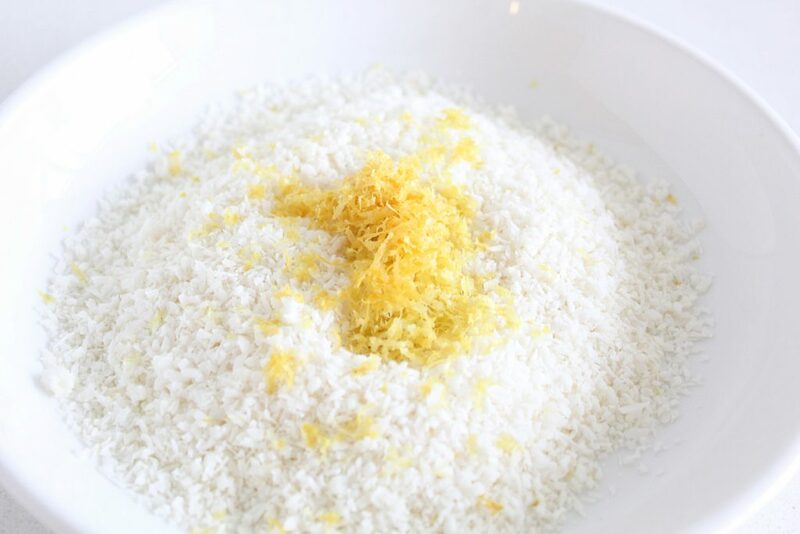 Mix the final cup of coconut and the zest from the remaining lemon together in a bowl. 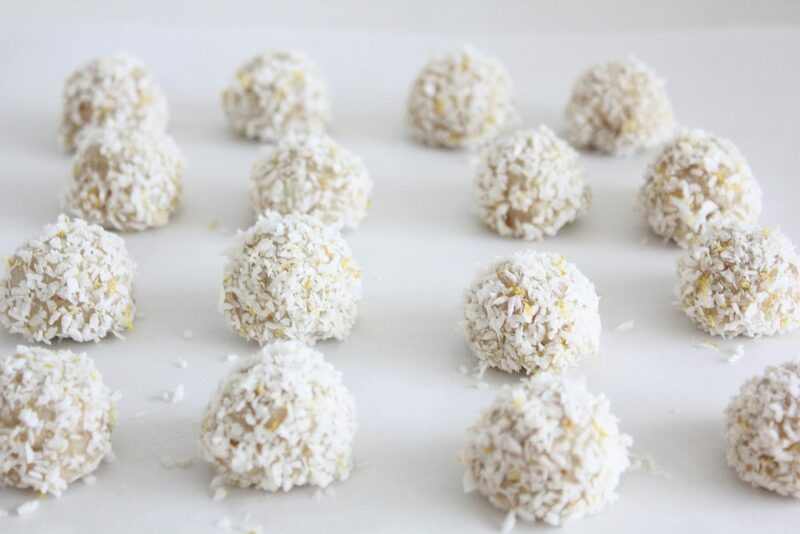 Roll the fridge-temp or room-temp balls (I find if they're, the coconut doesn't stick as well) in the coconut/zest mixture, gently pressing it into them and shaping them. Transfer them to a plate or baking sheet. 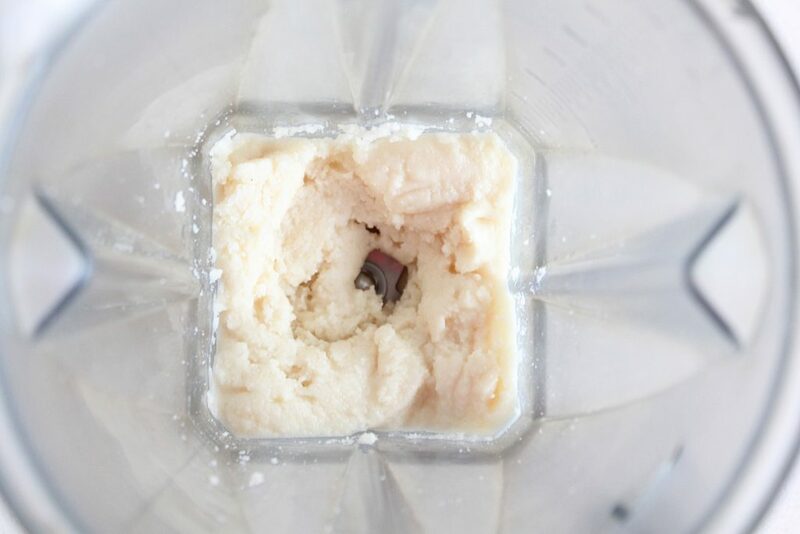 Freeze on a baking sheet and once frozen, transfer to a freezer-safe container. These last in the freezer for several months, the fridge for 2 weeks an at a cool room temperature for 24 hours. Serve frozen, fridge-temp (my preference or room temp (as long as it's cool enough to keep coconut oil solid).